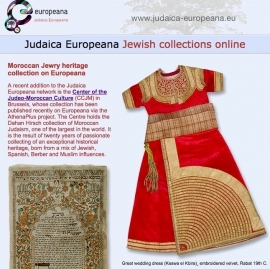 We're proud to announce the addition of our collection to the Judaica Europeana network. All our data has been published recently on Europeana via the AthenaPlus project. We invit you to browse their 3.7 million items.